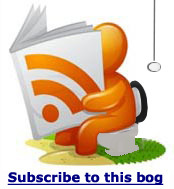 The scandal of the LIBOR rate and Bob Diamond. Bob Diamond ex head of Barclays has been accused (along with others) of fixing the Libor rate. What is the Libor rate anyway? 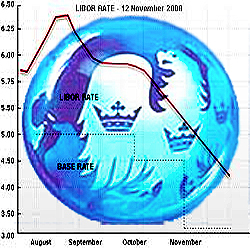 The Libor rate or LIBOR (London Inter Bank Offered Rate) is the interest rate that banks charge each other for loans. This rate, which is set each day at 11.am by the British banking institutions sets the figure for, inter bank lending across the world. All types of inter bank lending are covered. Short-term 24 hr hour loans, longer maturity loans such as 3 month or year loans as well as many other types of lending. The LIBOR rate also sets the rate for credit card debt, bank lending rates to customers, loans and mortgages and so drastically affects everyone personally as well as the economy on an international scale. A high rate or low rate will have a big impact on the world economy and bank confidence. So what has Barclays Bank Bob Diamond done? It seems he has been personally involved with fixing the LIBOR rate to the bank’s advantage. "Why Barclays' Libor submission was as high as it always was". According to Barclays, this was taken as an instruction to lower the rate artificially and then passed this on to the Barclays bank traders who profited from the information. There is some evidence that ministers from the last Labour govt are also implicated. They apparently discussed policies with banks to make the Libor rate fall. Manipulating and falsifying the Libor rate, gives a totally wrong impression of the economy as a whole and was no doubt a major part of the financial collapse later in the same year. Lord Turner, the chairman of the Financial Services Authority, described the outrage that has built up over the bank's actions. "The cynical greed of traders asking their colleagues to falsify their Libor submissions so that they could make bigger profits - has justifiably shocked and angered people, in particular when we are facing hard economic times provoked by the financial crisis." It seems that nothing is what it appears in economics and following the resignation of Bob diamond and other senior officials, the enquiry continues. The big problem is that no one seems to fully understand it. The only people who do understand it fully appear to be implicated in the scandal are all in the banking industry. It is undoubtedly beyond the grasp of Chancellor George Osborne and the British government MPs, most of whom lack the economic qualifications or experience to deal effectively with the scandal. Bob Diamond has since resigned following the news coverage of this story. It would seem that diamonds are not forever. Big World Index for mobile devices. Making profit with Gold and Silver.